ItsHandMade is where artists meet collectors and together build a world where everyone learns to share, earn, and love everything handmade. ItsHandMade is a marketplace to sell and buy everything handmade. A network where everyone comes together to share handmade items, crafts and jewelry. 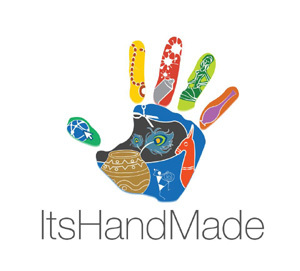 ItsHandMade is an attempt at creating a network of buyers and sellers of all things handmade. It is a one-stop shop to showcase creative and undiscovered art, design and craft skills. ItsHandMade was conceived to give all the artistic people an opportunity to share their creations with collectors who have always had an eye for originality. It is one of the largest Handmade Gift Items online Community in India. Craftsvilla.com is a marketplace to “Discover Unique Indian Products” including Handmade, Vintage, Ethnic, Organic and Natural products from India. India is a beautiful assortment of diversity reflected in our Clothing, Food, Lifestyle, Language, Music, Books etc. This diversity is so rich and diverse that an attempt to capture it on a single platform was never made. Craftsvilla.com is that sincere attempt by bunch of young insane guys and gals who think this is possible now with the Internet. Craftsvilla.com uses a marketplace model to capture the regional variations of India. Craftsvilla.com is funded by US based Investors: Nexus Venture Partners and Lightspeed Venture Partners. 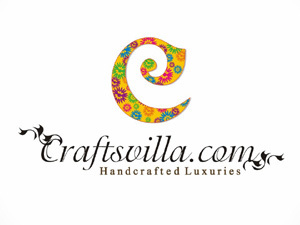 Craftsvilla.com has also been hailed in the various media including Times of India, Hindu, Economic Times, WSJ etc as the “Hottest Young Company in Handicrafts in India” which is bringing positive change in the livelihood of base level artisans and designers. Click4selling is a open web store selling multiple products and services in India. Click4selling has been started with an idea of buying and selling everything that is handmade. It provides an online platform to artists and craftsmen to showcase their talent and find the perfect customers for them. It is an online community, and welcomes people from all over India to showcase their products and find a Business Lead. A wide variety of Handmade Gift Items make up the inventory of the website and the website is growing leaps and bounds in its own genre. Craffts.com is the first Indo western lifestyle portal with a blend of trendy and traditional products. It showcases unique selection of branded and handmade products on one platform. Craffts.com was established in 2011 with the aim to display and sell handcrafted and handmade products. However, with the passage of time, it has evolved and have come up with this idea to showcase Indo western lifestyle products. This gave them the opportunity to showcase and bring forth the unique selection of 40,000 plus “Modern & Traditional” products on one platform. This came out to be a win-win situation for both the buyers and suppliers. Indianshilp.com is an emerging venture which wants to bring to forefront the Indian culture at its best through its rich handicraft. Indian handicraft has created a niche in the world of art and has been honored worldwide; this made us start this venture which would bring to the people Indian handicraft at its best. The main aim of indianshilp.com is to create awareness in the world about Indian artwork, craftwork and design as well as Indian culture. Indianshilp is bringing craftsmen, artisans, NGOs and suppliers on a common platform through the products made by them. The online store would give them the ability to connect themselves with customers and showcase their unique products. Customers on a global sphere would be able to access Indian handicraft culture at the click of a button by just entering our online megastore. Dastkari is working towards developing a Platform for these Indian Handicrafts, Arts and Crafts from various regions of India, and is striving to bring to you the best of these from the authentic producers of these handcrafted collectibles and Memorabilia. DastKari has a Fairly extensive range of products in different categories like Indian Handicrafts, Ethnic handmade Apparels, Tribal handicrafts, Ethnic Jewellery, Wooden crafts, Wrought Iron Products, Eco friendly products, Jute and Bamboo Handcrafted products, Gifts, Home decor, Home Furnishings and much more for your delightful experience. Shopick.com is a marketplace to discover “unique” Indian handcrafted/handmade/handpainted products with beautiful designs from designers and creators all over India. Shopick connects designers and artisans to customers all over the world looking for amazing products. During the modern times, India is considered as a mine of magnificent handicrafts and antiques by art lovers around the world. Traditional oriental handcraftsmanship has been mixed beautifully with new contemporary ideas at shopick to give each piece of art a very classy look. Different forms and styles of handicrafts can be seen at different parts of the huge Indian subcontinent, which also reflects the cultural diversity and various religious beliefs of people dwelling together. 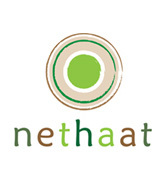 Nethaat is an interactive online market place on the web to get buyers,sellers and admirers of arts,crafts and designer items,gather together to interact. Haat is a central place in a village/town where both buyers and seller meet to buy and sell household and hand made products.This place is always full of activity. Artists have always followed their inner voice and dedication to create many exclusive arts in various forms like paintings,sculpture and much more to inspire others. 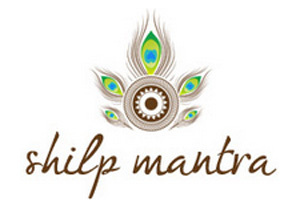 Shilp Mantra is an Online Handicraft Hub that takes you to the mesmerizing world of Primitive Indian handicrafts where you’d be astonished to see the range of diversified handcrafted masterpieces and the tribal art collection created by the dedicated craftspeople. Shilpmantra assures to supply trust, quality, satisfaction & enduring relationship by providing an exclusive collection that would leave footprints in the minds of people. ShilpMantra is devoted to support & empower artisans through systematic development efforts. Awesomeji is a venture of Banyan Tree Infomedia LLP, one of India’s fastest growing emedia companies. Banyan Tree Infomedia has 9 years of online expertise, all of which have been employed to make your experience at awesomeji.com more memorable. 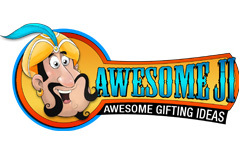 awesomeji is an exciting online destination that provides Indians within and outside India an opportunity to gift their near and dear ones. It offers a wide range of gifts & shopping items that would make your loved ones delighted on each important and special occasion. Awesomeji.com is self funded and currently has 2 offices in India (Bangalore and New Delhi).